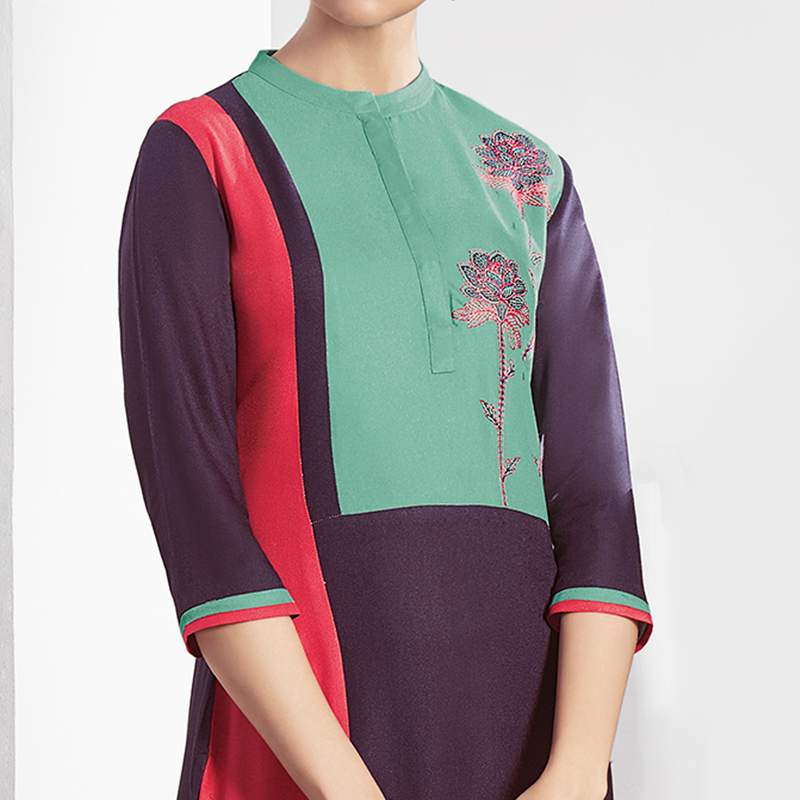 Step out in style wearing this deserving wine colored kurti. Exclusively designed & beautified with embroidered work as shown. 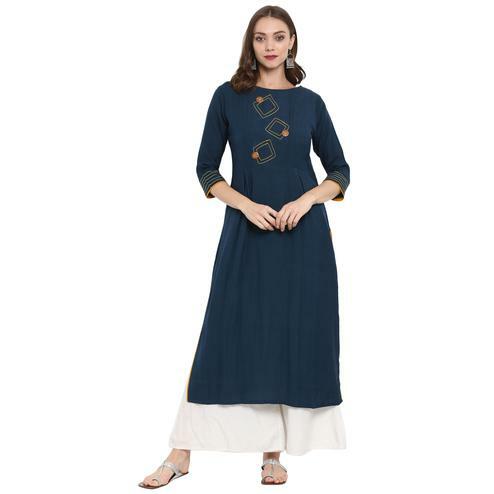 This pure viscose kurti with regular fit will enhance your curves and makes you look classy & stylish at the same time it's easy to wear & care. It's a perfect outfit to wear for casual wear, parties and social get together. 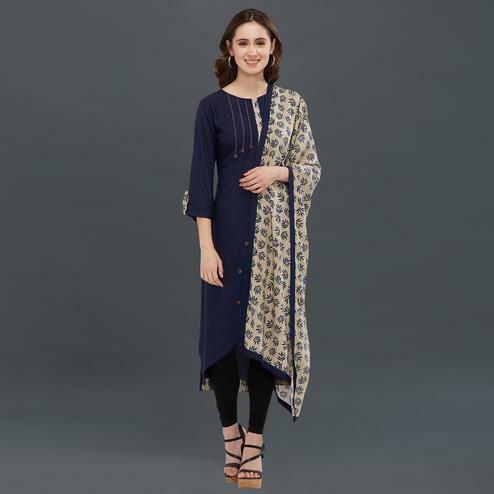 Pair it up with churidar in lighter or brighter hues to create a contrasting effect, along with heels & stylish accessoires.This attractive kurti will surely fetch you compliments for your rich sense of style.